Access your money conveniently across the globe. VISA Debit Card gives you access to spend at over 24 million outlets and over 5 million ATMs spread across the globe, wherever you see the ‘VISA’ sign. It is linked to your bank accounts and allows you to access money available in your accounts through ATMs, Merchants at the POS and e-commerce platforms for payments of goods and services. It is available for current or/and saving account in all currencies. 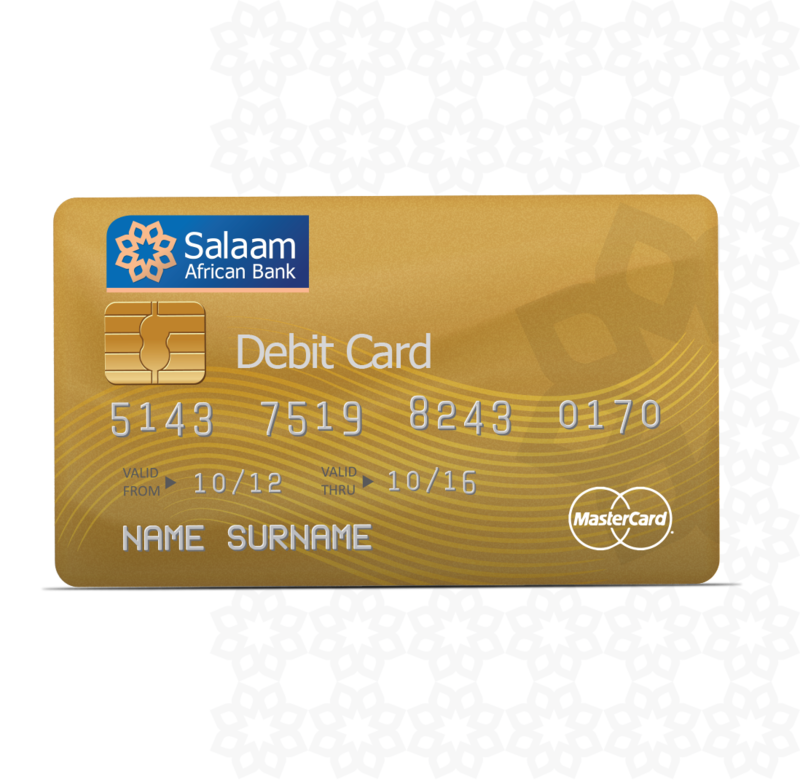 Experience the convenience of shopping empowered by your Salaam African Bank VISA debit card. Your debit card encompasses a wide range of benefits and services. Smart chip – added security and convenience. Visit any of our branches across the country and fill out an application form. Original and copy of the National ID card or passport. A dully filled specific Debit Card application form.